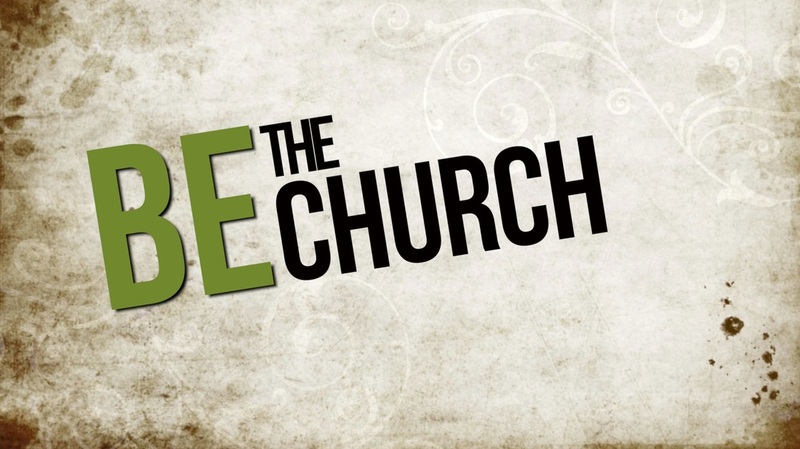 “Be the church…” What does that mean to you? Let’s try something different today…each day we provide a passage of Scripture to reflect upon…today, for each one of the bulleted items above, each one has one or more biblical references…how many are you willing to find? “Be the church…” What does that mean to you? If you read our blog, you might be familiar by now, that from time to time I share some prayers from the Church Fathers, prayers that I find meaningful and prayers that I use in my own spiritual walk from time to time. Today I want to share a prayer I came across by St John Chrysostom (344–407 AD). What makes this prayer meaningful o me is the relation between the recognition of the human nature ready to be transformed by God’s Grace. I think this chapter of Psalms is a great reminder to stay true to what matters most and to not get caught up too much in the wants, pride, privilege, and arrogance that surrounds us. I think some of the CEOs of this world could use this passage as a reminder to not be too greedy. I think our current president could benefit from reading this passage daily. I remember back to my youth, and there was a saying at the time that was popular, and screen printed on t-shirts that said “Those who have the most toys still die.” The point, of course, it that even if you had everything in the world that you could ever want, you still have to die eventually. Dale reminded us of this in his message last Sunday. Those two certainties of life, death and taxes. In that same sermon, Dale told a story about a man who was dying and wanted to take some of his stuff with him to heaven. He was granted one suitcase to take with by the angel. So the man filled the largest suitcase he could find with as many gold bars as he could. Worth billions here on Earth I’m sure. When he gets to the gate and is questioned by St. Peter about what was in the suitcase, the reply from Peter was “You brought paving with you?” The same thing that was worth so much to the man on Earth was worthless in heaven because, ya know, the streets in heaven are paved in gold, aren’t they? The point being that all the fame and fortune here on Earth is worth nothing in heaven. So rather than storing up treasures here, we should be storing up treasures for our heavenly future. So how are you living my life? Of course, we all will falter. I know I fall off the wagon all the time. But, by the grace given to us through Jesus, if we remain faithful to Him, we will be invited to an amazing place where evil will no longer exist. We will be mistreated time and time again, and have many who will try to mislead us. But if we stay the course, even if we seemingly have little now, we will have so much more when our time comes to be called up to heaven. Oh my, what a subject. Let’s start by quoting together John 3.16, “For God so loved the world that He gave His only begotten Son that whosoever believes in Him should not perish but have ever lasting life.” What a great statement of our Christian faith in the love of God our father. So as we continue to the end of this same chapter let’s recite together John 3.36, “He who believes in the Son has eternal life; but he who does not obey the Son will not see life, but the wrath of God abides on him.” Here lies the stumbling block for so many 21st century people. How can God be both love and anger ? Our great God, Yahweh, is described in Habakuk 1.13, “thou art of purer eyes than to behold evil.” Psalms 76.7 “You, even You are to be feared ; and who may stand in your presence when once You are angry.” God hates sin, no evil or wrongdoing is allowed to dwell in His presence, all sin is to be punished, (Romans 6.23,) and all men are sinful, (Romans 3.23.) Yet the good news is God our Savior has provided a way. Jesus the only righteous one, with no sin whatsoever, (2 Corinthians 5.21,) bore the wrath of God on our behalf so that we who believe in Him might have a right to stand in the Holy presence of Yahweh. We cannot fully understand the completeness of the Love of God without understanding His complete hatred of sin. God is Holy. God has provided a way. Review: The first bit (vv. 1-6) admits the omniscience of God…..Next (vv. 7-12), is David’s understanding of divine omniscience. It describes the human effort to escape God either up (heaven), down (hell), by air, by water, by day, or by night as folly…..The third strope (vv. 13-18) is on the human construct and God’s role in it…..Finally, David turns his attention to the enemies of God – the murderer’s (v. 19), those who outwardly oppose (v. 20) and contrasts them to his own efforts to follow Him (vv. 23-24). Commentary: If this is not the strongest of the Psalms, it is certainly competitive…..Each verse is worthy of a study on their own…..For those who follow God, Paul summarizes our path (Acts 17:28)…..All of it, God knows – our thoughts and actions before they become our thoughts and actions (vv. 1-6)…..The going’s on in our Mother’s womb, where we were constructed, was divinely guided (vv. 13-16), including our gender…..Again, there has always been those opposed to God, and His people, and His ways (vv. 19-20) contrasted to His followers (vv. 23-24)…..Why? A complete answer to that is beyond David (vv. 5-6)…..Certainly, contrast is a factor…..God has authored light and darkness…..God has awarded us with all that is good (Gen. 1:31, James 1:17) and permitted evil (Isa. 45:6-7, 46:9-10, Col. 1:16) in all it’s forms…..Why? To make human beings responsible for most, we’re not responsible for our being or our general situation, of what happens…..What I’m trying to say is that there is an unknown connection between God and evil. There is a known connection between fallen humanity and evil, whether it’s admitted or not…..God’s folk are to stand for God and His values (Deut. 28, Luke 12:48, Gal. 6:5, Col. 3:23) against the spectacle of both the rot and decay of the earth and it’s peoples. Living so glorifies God (Isa. 25:1, Ps. 29:1-2, 115:1, Matt. 5:16, Jn. 3:30, Rev. 7:12) which is what we’re here to do. It also gives us something to look forward to (Rev. 21:4)…..The historical examples (Deut. 4:9, Zech. 1:4, 1 Cor. 15:6-11) of evil are to propel the follower to resist (Prov. 7:25-26, Luke 11:4, 1 Cor. 10:13, James 4:7) and do something about the surrounding rot and decay. David provides a wonderful understanding of God for us to rest in and celebrate. Take some time today to meditate on these verses from Psalm 103. 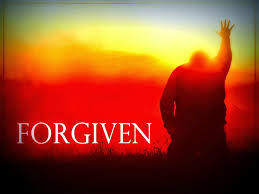 Know today, that you are deeply loved and forgiven by God. How will you respond the Lord’s love this day? What makes church a special place to be? WhenI am asked: Why go to church? – one of the things that I always speak about is the people you find in church. Trough the many years I spent in church as a regular church goer and also as a minister, I discover the beauty and the strength that comes from being part of this thing called church. As Christians, we are not perfect, and I will be one of the first ones to tell you that. Yes you will find different people in churches that might make you wonder about their kindness, or compassion and at the same time time you will find others that are just an example of what it means to be transformed by God’s grace. It is in that together walk, when people from different background molded by God’s love that we grow, we learn and start to make sense of what God is doing in our lives. We need to be in that togetherness, we are called to step out from or shell and be part of something bigger than us. Church for me, is seeing God at work in a practical way, in my life and in the lives of those around me. Today I pray that as we think church, we can all be challenged to be listen, to grow and to serve as we never did before. Because we are the church, the body of Christ, the very visible presence of who God is in a world that is looking for answers, for authenticity and for grace. 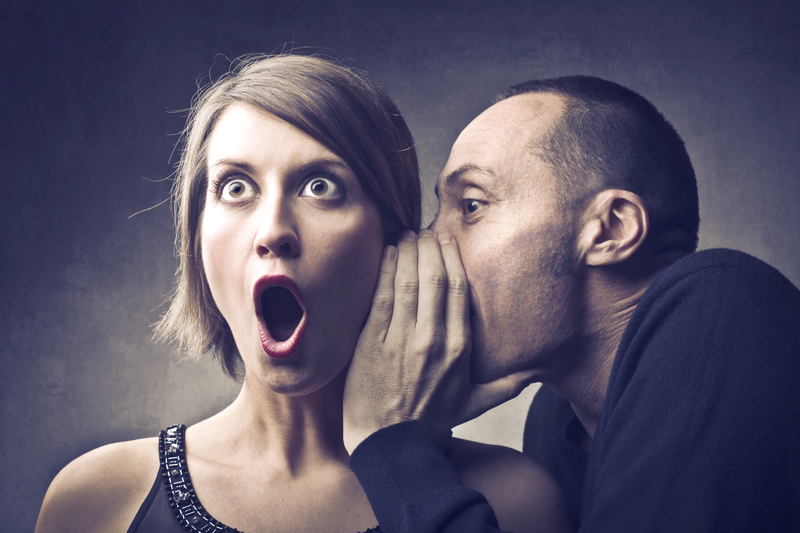 Each of us has a certain propensity for gossip…”Did you hear about_______”; “Can you believe what ‘they’ are doing?”; “Did you know ______?”. Gossip happens when 2 or more are gathered in most any place or event…it happens at school, at church, at work, at social gatherings. It happens when we don’t like how someone has acted or decisions have been made. It happens especially when we think we are the font of wisdom about a particular subject or situation. Let’s face it, gossip is something that not only happens but can be divisive and mean-spirited. As Christians…people who claim to follow Jesus – which means we are also imperfect people…gossip is a hard habit to avoid or break. Paul offers us some words to ponder in this light from 1 Corinthians 1:10-17 – I’ve chosen The Message translation because it is a little more to the point. Today I want to follow up on the Sermon I preached couple weeks ago: I believe in the Holy Spirit. I have to admit that as a guy I have a hard time asking for directions or for help. It must be that “I am a man and I can handle it” mentality that men are so known for. I will confess to you that I get lost when I drive, I need the GPS to tell me where to go and provide me with clear turn by turn directions. Today I rely on my phone for that function, because it works. I do not have to be concerned with watching a screen, or shuffling through a map, I just drive and follow the voice. Getting to this point of comfort it has not come easy for me. I did not trust the machine at first, I had to check and plan my route myself, I ignored the directions multiples times. But I am at the point where I am comfortable with just listening and following the voice of the GPS. It is the same with God. As we start our walk in the Spirit, the voice and the direction God will have us follow it will seem strange to us. Not only that but we tend to rely on ourselves and make our path, even when we know what God wants. I see that in me. I see that in you. I see that around us day after day. We are called to love and yet we live in discord. We are called to help our neighbor and yet we still try to define who the neighbor is. And all along the gentle reminder of God’s will, The Spirit of God is tugging at our hearts, come this way and follow me, come and see Jesus. I pray that as we walk with God, we will be tuned in the Spirit’s frequency and be able to follow where God leads.